Earwigs are a nocturnal garden pest, often hiding in small, moist crevices during the day. Earwigs feed on a wide variety of foliage, flowers, and various crops. 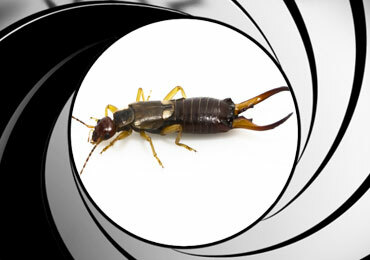 License to Kill pest control provides comprehensive residential pest control protection plans, which eliminates earwigs reassuring peace of mind. We specialize in earwig pest control, we also have extensive experience eliminating earwigs in historical structures as well as commercial properties and apartment complexes. At License-To-Kill, we understand pesticide sensitivity. If you’re allergic to pesticides, concerned about your pregnancy or are concerned with your pets or children, we care and are prepared to work with you. Please call us for pest control needs today. Get Rid Of Your Earwigs Today!